The Britons took up arms and, fighting for themselves, freed the cities from the barbarian pressure; and all of Armorica and other provinces of Gaul, in imitation of the Britons, freed themselves in the same manner, expelling the Roman officials and setting up their own administration, as well as they could . Those officials who had roots in Britain and perhaps more loyalty to the island than to Rome probably turned coat and joined whatever new administration was taking over. While this is as good a point as any to mark the end of Roman Britain, there is no reason to think that anyone at the time believed it to be so. On the Continent, Gaul descended into chaos in which Romans fought Romans and barbarians, Constantine and Gerontius were defeated in turn, only to be replaced by another usurpation on the Rhine, and Rome was sacked by the Visigoths in 410. In Britain the situation was different. Despite the attack of 408, there were certainly no invading hordes, just the threat of further damaging coastal raids and trouble from beyond the Wall. 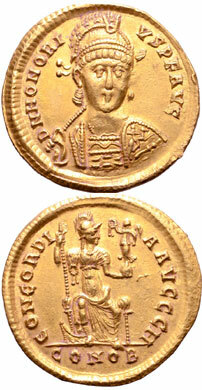 Militarily, whatever troop withdrawals had been made by Constantine, it is difficult to imagine that he had dismantled the entire military apparatus. At least the skeleton of a command structure must have been maintained, but it may be the case that, between the revolt of Gerontius and the expulsion of Roman authority from Britain (both events in 409), large bodies of troops left Britain. Whether this was in response to orders or by the troops' own volition to seek their fortunes on the Continent is unknown of course. Many of the troops who were up to this point still in Britain may have felt their sympathies lay more with Gerontius in Spain than with Constantine at Arles, while barbarian allies probably felt loyalty to no one unless they paid well. Once Gerontius revolted, payments to the troops would have been severely disrupted, so it seems likely that units began to fall apart, the troops drifting off or disbanding themselves when it was evident that they were no longer going to be paid. While this is theoretical, the same situation is historically recorded in a description of the situation in the Noricum in the 470s. There were still many regular units stationed at various cities in that province, but when their pay ceased to arrive they were disbanded, their officers letting them go, and the frontier was abandoned with their departure . One last unit dispatched a deputation to Italy to collect what was due, but when this failed to return this unit also disbanded itself. So, while we are hampered by an almost total lack of direct information on the situation in Britain after 409, it seems likely that many units left Britain between 406-409 and the expulsion of Roman authority must have included military as well as civilian figures, especially as the army was central to Roman authority in Britain. What we are left with after the expulsion is what must have been a new British-led administration which controlled whatever organised armed units remained (regular as well as the many laeti units which archaeology proves existed at this time). 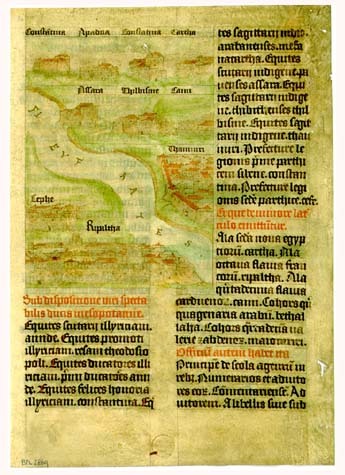 The Notitia Dignitatum, or Register of Dignitaries, which is dated to AD 420/425 by many and contains the army establishment of around 395, with amendments, contains army units which may well have existed only on paper by that point, but its Roman authors may have had no reason to delete the section for Britain. The island had been lost and regained many times before, and they quite probably expected the same to happen again, once the situation in Gaul and Spain was sorted out. The fact that the situation on the Continent was never again to be sorted out would only have dawned on them slowly, over a matter of years. It may even have taken a generational change to accept the loss as fact. So the retention of the Notitia Dignitatum lists probably argues that it was thought that the Roman military structure in Britain would continue. It may well be the case that the Britons themselves thought the same thing. Certainly it may be assumed that, until the expulsion of Constantine's men (many of whom would have been Continental nobles who held political roles of varying degrees of responsibility in Britain), it may reasonably be assumed that at least a core of officers and men remained at their posts on the island. The army had been so central to Roman administration that it is difficult to see what the expulsion could mean if it did not involve the holders of military as well as civil office. From hereon internal records from Britain almost entirely cease to exist (or at least survive down to the present day), and mentions from the Continent became more and more sparse as the government there fragmented under the weight of barbarian takeovers. Analogies can be drawn, however, based upon events that happened later during the collapse of Roman administration in Western Europe. This, in conjunction with the few scraps of evidence remaining, allows some kind of picture to be put together. Part 4: New Ruler of Britain? Part 5: Pelagian and pro-Celtic? Eugippius, Life of St Severinus (V Sev), 20, vi. 5, while the situation referred to is covered under the Norici. There is no evidence that will stand up to serious scrutiny of an imperial reoccupation of Britain after the break with Rome. While the Notitia records units that may previously have existed, and which Rome might hope to reinstate 'one day in the future', the probability is that it did not reflect the actual situation in Britain. Part of the reason for rejecting Roman authority was for the Britons to relieve themselves of the burden of the imperial establishment and the maintenance of a very expensive Late Roman military system. 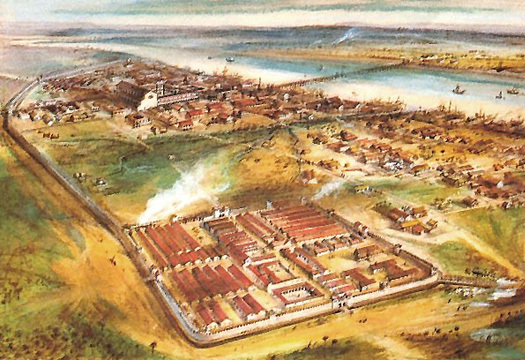 The Britons themselves successfully organised their own defence, probably with the continued use of laeti units which were settled outside the walls of many British cities, plus the local raising of new units to replace those which had been lost, with employment in such units probably being owed either to local loyalties and ties, or payments raised through localised taxes. Some of the local units may indeed have been formed from the core of former Roman units. Generations of soldiers had settled in Britain and raised families, and it seems reasonable to assume that many career soldiers may have decided that their best hope of employment was to join units that were being organised or restructured by the new administration. 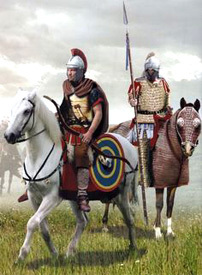 With regards to the laeti units in Britain, a useful example is revealed in Gaul, in which the Olibriones 'who had once been Roman soldiers'  fought on the side of the Roman forces at the Battle of the Catalaunian Plains against the Huns in 451. This suggests that regular units which had fallen out of central control and had settled down were still available for service when required, with payment only being provided for periods of service. The use of Britain's laeti may well have followed similar lines, with the settled units still being available for service on a local basis, and with locally-raised payments, probably in the form of provisions. By 409 the practice of relying upon barbarian soldiers employed on contract was becoming common throughout the Western Roman world. The dangers inherent in Britain becoming totally dependant upon them are therefore not likely to have been widely appreciated - or, if they were, it would not have been strong enough to overcome the realities of contemporary practice. In fact, in the face of the widespread resistance in the western world to the burdens of a regular army, it would hardly have been practical politics in the years after 409 for British rulers to win the necessary support among the civilian population to maintain regular units in being, even if they wished to do so. This localised provision of the defensive organisation seems to be the most easily understood element of the period from 409 to about 425, in which central administration may have broken down to an extent, with local administrative centres (in the south and east) and then rulers (in the west) beginning to dominate. These Roman magistrates and Celtic chieftains may in many cases have sprung from the landowning aristocracy which was only too pleased to be rid of the Roman burden of taxes and recruiting demands which had plagued them throughout the Late Roman period. These landowners had found that settlement on the land for local military units was a much better, and cheaper, prospect for their finances. Added to that, and given the army's traditional role in fomenting revolts when it was disaffected, loyalty to local landowners instead of the army itself probably reduced the risk of coups by unpaid and disaffected troops. Such landowners probably encouraged the final dissolution of whatever last Roman units remained. It would also have enabled them to encourage settlement on the land, adding to the agricultural labour force at a time at which the importation of goods from the Continent must have been disrupted. A reserve of troops could easily be created from settled workers at a cheaper rate than when maintaining a standing army, with perhaps a small comitatus, a bodyguard unit on the imperial model, being retained on a permanent basis. For a generation or so, this process of the localisation of raising troops and providing for the needs of the aristocracy and workforce alike seems likely to have become the norm, and the most successful members of the ruling aristocracy probably gained a good deal of localised power and influence at a time at which central authority had been greatly weakened, and perhaps only existed in order to bring local authorities together to discuss national issues, such as defence. Theoretically this could have been managed in the form of a council based on the same lines as the modern United Nations, with resolutions being agreed between the local authorities prior to being enacted on their behalf by the head of the central authority. It is possible that some unknown figure, perhaps the organiser - if it was a single individual - of the expulsion of Roman authority from Britain, became the initial head of the new authority. It is equally possible that he held more power than simply that of an executor of directives agreed by local authorities. 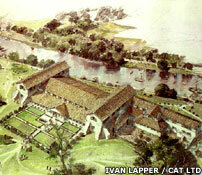 A roman villa near Maidstone in Kent - landowners with power? Even in pre-Roman Britain, tradition points to a figure holding overall national command, otherwise known as a high king of Britain. During nearly three hundred and seventy years of Roman control Britain had always had a central authority, a governor in one form or another, and it seems reasonable to assume that such an ingrained practice would have continued, with a potential usurper assuming central authority over the localised powers, either by force of will or by unanimous agreement with his peers. Text copyright © P L Kessler. An original feature for the History Files.